FG threatens to sack striking health workers – Royal Times of Nigeria. The Ministry of Health has directed striking health workers to resume work immediately or be declared to have absconded from duty. Minister of Health, Isaac Adewole, gave the directive to Chief Medical Officers of all federal government owned hospitals. The minister said that anyone who failed to resume would be considered to have absconded from duty without leave, an act considered a serious misconduct in line with Public Service rule 030413. The minister gave the directive during an emergency meeting with chief medical directors and medical directors of tertiary hospitals in Abuja on Monday. 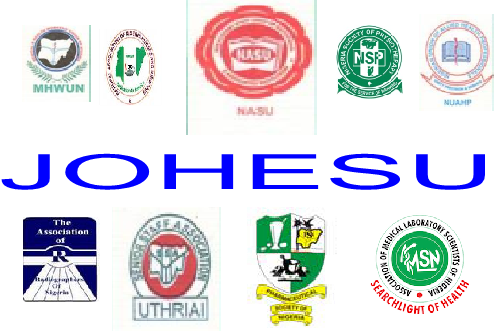 Mrs Boade Akinola, Director Media and Public Relations of the ministry, who signed the statement, explained that the emergency meeting was to review the status of services being rendered in view of the on-going strike by JOHESU members. Members of Joint Health Sector Workers Union (JOHESU) have been on strike over pay parity with medical doctors since April 17.